For the first time in China, KK NULL at International Intermedia Art Festival in Beijing on coming this Saturday, October 27th!! Nothing better than playing with KKNULL, UterozzzAAA and Djoto on OCTOBER 28th in Tokyo for Hall o ween ! 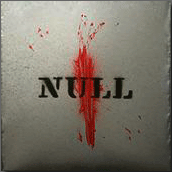 Don't miss this very rare KK NULL's live performance in Japan. combining Live Electronic Music, live visuals and dance with Soft vinyl Art from over 18 artists from around the world….